All of our Year 6 students were visited today by The Rotary Club, and were given an illustrated dictionary for them to use in the classroom and at home. 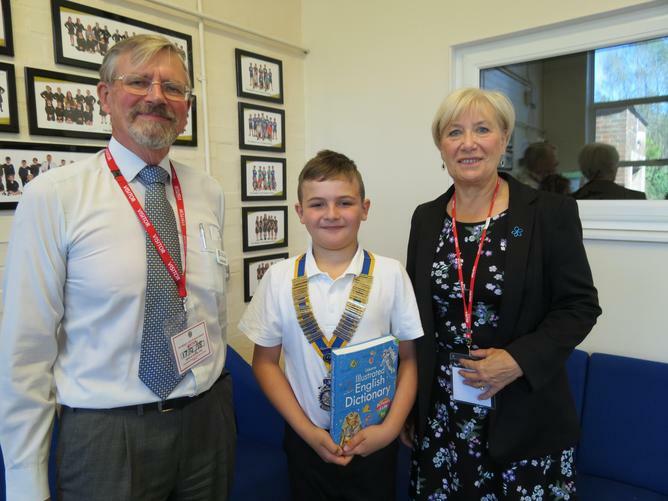 The Rotary Club visit schools in the local area every year to donate the dictionaries to Year 6 students. We are very grateful and each and every Year 6 child will find the dictionary invaluable as they move through Year 6 and on up into Secondary School. Do ask your Year 6 child about their new gift!